Supergirl and Alex head to the crash site of Fort Rozz, to find the remains of Psi, whom Supergirl encountered last issue, and lay them to rest properly. However, on entry to the site, Alex and Supergirl discover a room that contains a plethora of surveillance on Supergirl in her civilian identity as Kara Danvers. Supergirl is distraught and reveals the name that Psi spoke to her, which was previously shadowed. All that the sisters have found has been orchestrated by a figure called Facet, and Facet has been alerted that Supergirl is now "in place". Story - 4: The plot thickens, and well at that. Again, Gates is showing and proving that he can make the most of the serial format, delivering another well-crafted issue, and upping the ante for the readers return. Adventures of Supergirl packs more into its compressed format, than the average comic renders in three issues, and decompressed at that. 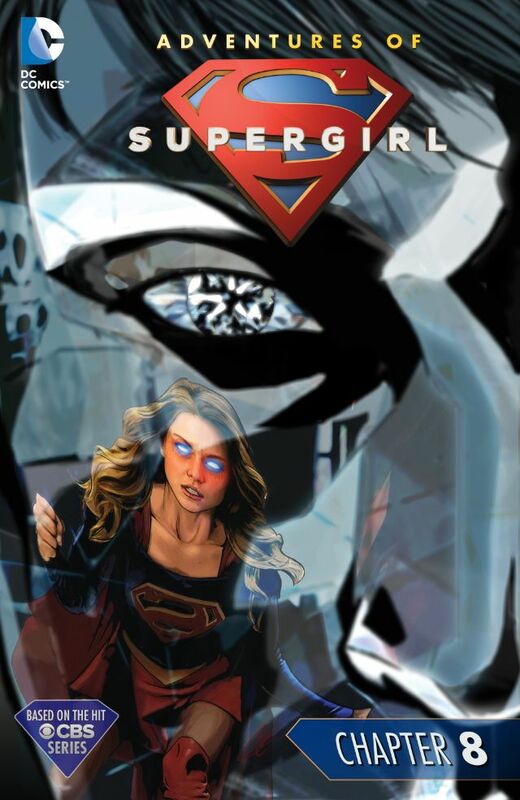 Gates' previous run on Supergirl is overlooked as seminal runs go, but hopefully his current work on Adventures of Supergirl will establish him as the go to writer for the character. The only drawback to the story is the ball-and-chain in the form of Alex Danvers. Alex has too much time with Supergirl, sister or not, and it would refreshing to see Supergirl adventure with another supporting character. My personal preference would be Jimmy Olsen, if he's handled like his classic self, the Action Man adventurer, and less Billy Beefcake. Art - 3: Competent, but unengaging at the end of the day. The need for rotating artists on serials of this format are obvious, but perhaps they should look for artists that can turn out higher quality in the time allotted? Cover Art - 3: Very, very eerie. Supergirl or Bizzara?